Florida Child Support in Cases Involving High Income Earning Parents | Law Offices of James S. Cunha, P.A. Are you a professional athlete, executive, physician, business-owner, professional, or celebrity who earns a substantial annual salary and you are thinking about filing for divorce or a paternity action whereby the court will have to determine child support? Below are a few things you should know about how child support is calculated in Florida divorce or family law cases involving high income earning parents. However, there are certain scenarios where a Florida court may not simply apply the minimum amounts listed in the guidelines schedule under Fla. Stat. § 61.30(6). For example, let’s say you have a marquee NFL player whose six-year contract plus endorsements have him receiving an average monthly net income of $828,431.00. Five years remain on his contract. He has been married for about six years. The couple resides in Florida and have one 5-year old child. The Wife is a homemaker. The couple’s marriage becomes rocky, and they decide to divorce. 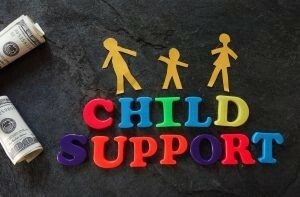 To keep things very simple, let’s just focus on the minimum Florida child support obligation based on Fla. Stat. § 61.30(6). In using the basic example above, we know that the Husband’s net monthly income $828,431.00. Without going into any detail regarding the Wife’s educational background and when she was last employed, we will simply impute to her a monthly net income of $1,404.00. Thus, after applying Fla. Stat. § 61.30(6) to the parties’ combined net monthly income, the presumptive monthly child support would be $42,357.00. There is a strong likelihood that a family court in Florida may find the guideline amount in the example above to be unjust or inappropriate. A Florida court may choose to reduce the presumptive monthly child support by 5% after considering all relevant factors, including the needs of the child or children, age, station in life, standard of living, and the financial status of each parent. See Fla. Stat. § 61.30(1)(a). If a Florida court decides to reduce the above guideline amount by more than 5%, it may only do so “upon a written finding explaining why ordering payment of such guideline amount would be unjust or inappropriate.” Fla. Stat. § 61.30(1)(a); see Finley v. Scott, 707 So. 2d 1112 (Fla. 1998). Subsection (11)(a) of Fla. Stat. § 61.30 also permits a court to make an equitable adjustment of the minimum child support obligation based on a list of factors. Whether one party or both parties earn a high income in a Florida divorce case involving children, the simple scenario above demonstrates the issues that may arise regarding the determination of child support in a high-income household and the need of a party to retain either a forensic accountant or other qualified financial expert who will be able to provide the court his or her expert opinion regarding the financial needs of the parties’ child and the financial circumstances of the parties. To provide an opinion of the financial needs of a child or children and standard of living, the forensic accountant will have to conduct thorough assessment of the parties’ personal finances. A good lawyer is familiar with the law, the courtroom and will be able to advise you if experts need to be retained in your case. Although the example provided above was basic, in Florida divorce cases involving high net worth families, the issues relating to support and distribution of property can be complex. Mr. Cunha has extensive experience in litigating Florida high net worth divorce or family law cases involving executives, CEOs, professional athletes, professionals in the fields of medicine and finance, business owners, working men and women.